Every record in the library catalog has it's own permalink. This permanent link can be used to go directly to that item's record in the catalog. If you want to create a permalink for an eBook in the catalog, that goes directly to the eBook and not the catalog, follow these instructions. 1. Click on the "Logan: Click here to access this online book" link. 2. Next follow find the appropriate vendor and follow instructions eBook links tutorial page. 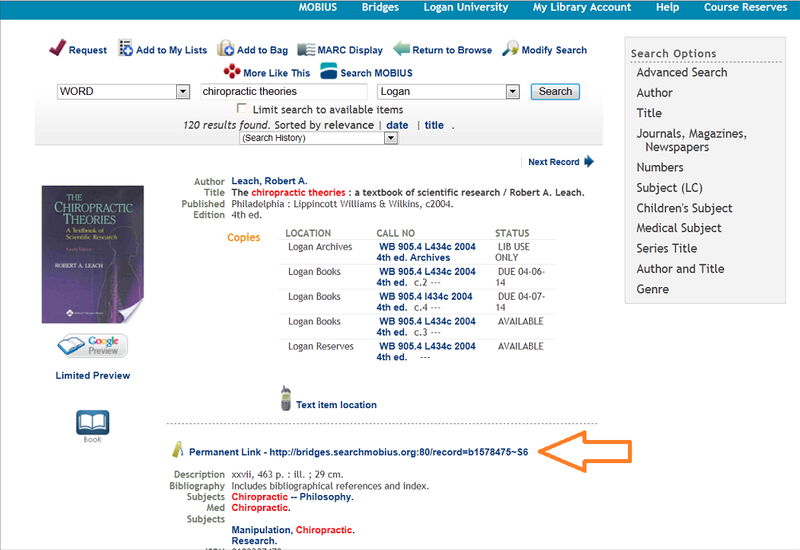 To link back to a record in the Logan catalog, simply copy the permanent link under the call number/location area and then paste it into your selected source.